Next-Gen ASUS Eee Pad Transformer to be the first Kal-El Device? Oppo X903 is the first Android Phone of Oppo which has made official by the company. This latest device comes with a full QWERTY keyboard and a slider form factor and both features intensifies the values of this handset to a great extent. The youngsters love to have a device which let them to type messages and email in a fast and easy manner and surely they can fullfil this desire when they have this mobile phone. Oppo X903 is equipped with a 1GHz Qualcomm Snapdragon MSM8255 processor with 3D graphics accelerator so you will get the high speed performance through this gadgets and a 3D graphics will let you to watch a classy movie and song on the device. An 8Mp snapper of this device allow you to capture some high quality images whenever you desire. Check the ad campaign video of Oppo X903! 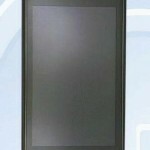 X903 Oppo handset will come with a 3.97-inch WVGA IPS touch-screen display and 720P HD video playback. It provides supports to following video formats mkv, mp4, avi, rmvb, wmv. High quality sound is assured through the integration of Hi-fi Dolby surround sound and support for FLAC. What I don’t like in Oppo X903 smartphone is its OS platform that is Android 2.2 while I’m expecting Gingerbread; might possible company will provide an update soon. Fast speed connectivity is made possible through 3G, GPS, WiFi, and Bluetooth.